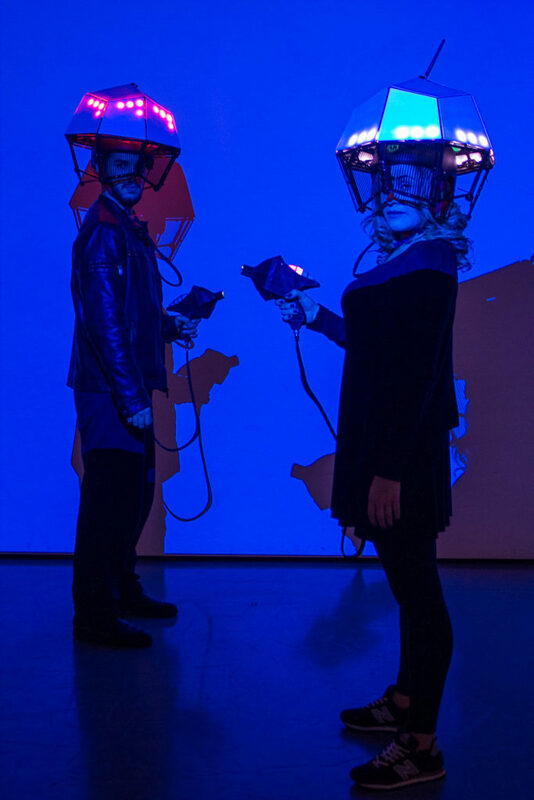 “ETcolor” is an interactive and participative installation. “ETcolor” was originally accomplished by SESC in 2015. Animation and interactivity are Marcio Ambrosio’s trademarks. The artist graduated in Graphic Design at FAAP, and worked many years as a graphic artist and animator. He moved to Brussels in 1999, where he worked in feature films and documentaries post-production, bringing together, in 2004, the collective zzzmutations, aimed at the production of short films and the development of interactive projects. Back to Brazil in 2007, the artist has been showing his installations throughout Brazil, Europe, Japan and a few other Latin American countries, such as Mexico and Argentina. In the national scope, he has workshops and exhibitions at the FILE Festival, Animamundi, Rumos Arte Ciberne?tica, Mostra de Arte Digital, SESC and Museu da Imagem e do Som in Sa?o Paulo.